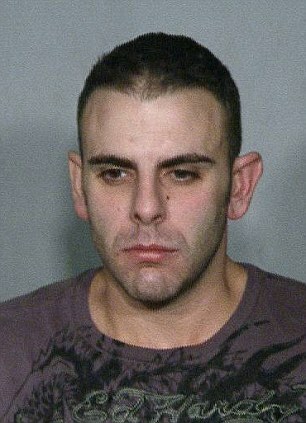 Bellagio $1.5 Million Chip-Robber Caught and Arrested....In His Hotel Room at the Bellagio! Talk about getting as far away as possible from the scene of your crime! On December 8th, 2010, Anthony M. Carleo, the twenty-nine-year-old son of Las Vegas Municipal Court Judge George Assad, allegedly walked into the Bellagio Hotel at three-thirty in the morning brandishing a handgun and wearing a jumpsuit and motorcycle helmet. He proceeded to rob a craps table near the exit of $1.5 million in gaming chips, which was always a stupid crime because gaming chips are not like cash; they have to be redeemed for cash at the casino cage of the casino. Carleo, who made his first court appearance under the name of Anthony M. Assad (I feel sorry for the judge), probably underestimated the problems he would have turning his booty into cash. He decided to look for help, the way art thieves look to sell very valuable hot paintings. Only problem is that the inexperienced chip thief ended up trying to sell the chips to undercover Las Vegas cops. Now he will be playing poker (or craps) in a Nevada prison casino for at least five years. Evidently, Carleo was living it up at the Bellagio, gambling and partying with Vegas hookers. I wonder if he gambled at the same table he robbed at gunpoint? That would take some balls, right? The cops searched the poor judge's home where Carleo lived and found evidence that his son was also involved in narcotics trafficking, for which he was also charged. My take: Well, I always knew this was a stupid crime even though it made headlines and got glitzy comparisons with the "Ocean Eleven" casino-heist movie starring George Clooney, which was filmed at the Bellagio. The golden rule in all criminal activity, especially in robberies, is that once you get away from the crime scene with the loot, you should be home-free and never be caught. But when you heist something that is extremely difficult to turn into cash, you can almost never accomplish that. Stupidity for the robber and tough luck for the judge. Kadir Karabulut Disqualified from Holland Casino Dom Classic for Bloggers/Reporters Poker Cheat Incidents in Major Tournaments! Back in September, the poker world was rocked by a cheating scandal at the Partouche Poker Tour headed by Ali Tekintamgac, who enlisted the help of bloggers/reporters to stand behind his opponents and inform him of their cards via hand signals. One of those bloggers/reporters was Kadir Karabulut, who was supposedly involved in a cheating incident of his own last week at the Holland Casino Dom Classic. According to reports, the incident took place on Saturday night during the €1,500 Main Event with around 30 players remaining. It was at that time that PokerStars Team Pro (Netherlands) Pieter de Korver noticed that Karabulut, who was seated at this table, was engaged in suspicious behavior with a photographer who was circling the table. De Korver observed the activity before relating his concerns to the tournament director. By this time, some of the other players in the tournament became aware of the situation, which quickly escalated. A commotion ensued and inspired the tournament staff to stop the tournament to discuss the situation. Many players, de Korver included, refused to continue unless Karabulut was disqualified from the tournament. Officials apparently determined de Korver’s suspicions were well-founded and disqualified Karabulut. In addition, the photographer and a few other railbirds were barred from the casino. After Karabulut’s removal, the remaining players took their seats and finished the tournament. The whole debacle was reminiscent of September’s Partouche Poker Tour cheating scandal involving World Poker Tour-Barcelona winner, Tekintamgac, who was suspected of cheating in August 2010 at the European Poker Tour stop in Tallinn, Estonia. It was at the PPT that video footage revealed that Tekintamgac enlisted the help of bloggers/reporters, including Karabulut, to peek at his opponents' hole cards and relate their holdings. Tekintamgac went on to make the final table but was disqualified from the Partouche Poker Tour, which was eventually won by Vanessa Selbst. 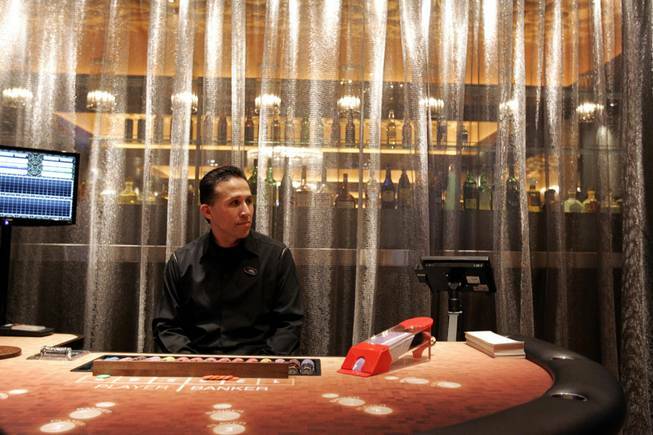 Asian Baccarat "Cutter" Cheats Attacking Las Vegas High-Stakes Casino Baccarat Tables! Although the casino suspected the gambler of videotaping the cards, the camera couldn’t be seen, so the gambler and others in his party were released for lack of evidence, according to casino security consultants. The scam is thought to be the handiwork of an Asian group called the “cutters” that has ripped off casinos worldwide for tens of millions of dollars. Perfected in Asia, the group is testing the scheme on casinos in the United States, where highly organized baccarat cheat teams have always enjoyed success, as we have recently seen in Connecticut's casinos. The group consummates the scam by transferring the camera images to a computer where the sequence of cards in the deck is written on a cheat shee. Then a different group affiliated with the cheating ring enters the casino, sits at the table and bets accordingly when the prerecorded sequence of cards emerges. This is a clever variation of the infamous Tran Organization Baccarat false-shuffle scam. Police in Macau warned casinos there of the scam last year, according to an industry memo circulating among Las Vegas casinos. The cheaters are “extremely well-organized,” the memo said. The suspected cheats at Cosmopolitan weren’t arrested because it wasn’t obvious to the casual observer that the gambler was using a camera during play, in violation of Nevada law, Zender said. Law enforcement needs probable cause to conduct a body search to determine whether a gambler is hiding a cheating device under his clothing, officials conceded. The Gaming Control Board’s enforcement chief, Jerry Markling, wouldn’t elaborate on the scam, but said an investigation of an Asian baccarat cheating ring is under way. Asian regulators and casinos, which commonly share information with casino authorities in the United States, are assisting in the investigation, he said. Although the suspected cheats are still at large, Markling said scam artists are usually caught when they seek another score. Knowing what the perpetrators look like will deter the first group from resurfacing but may not be a great help in combating a cheating ring the size of the "cutters," which is believed to have dozens of members, gaming authorites said. The European poker community once again was shaken by the appearance of one of the alleged conspirators of a cheating scandal that rocked the tournament world last year. Over the weekend at the Holland Casino Dom Classic, the Main Event was in full swing. According to reports from PokerCity.nl, the €1,500 buy-in event was late into action on Saturday night when top pro Pieter de Korver noticed another player, Kadir Karabulut, seated at his table. After a bit of action on the felt, de Korver allegedly determined that Karabulut was up to some shenanigans not only on, but also around the table. de Korver noted that there was a photographer who moved around the table in a suspicious manner and, when they did so, their actions were allegedly noted by Karabulut. After noticing this type of activity for several hands, de Korver discussed the situation with the tournament director. Then, the situation began to get a bit out of hand. The 30 or so remaining players in the event created such an uproar that Holland Casino personnel took the unusual action of stopping the tournament. Several players, including de Korver, stated that they would not play on unless Karabulut were disqualified. According to reports, tournament officials disqualified Karabulut and a few other railbirds were denied entry into the casino. Woldberg continued, “To avoid such problems in future, we will see if we – in addition to the press regulations (that) currently have to be signed (by media personnel) – can have even stricter regulations for bloggers and journalists.” Apparently this action appeased the remaining players, who went on to finish the tournament. This type of situation occurred last year and Karabulut was allegedly a part of that scandal as well. 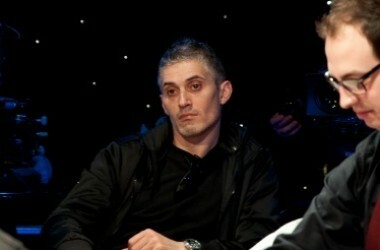 During a stop of the Partouche Poker Tour last September, Ali Tekintamgac was disqualified from the event at the final table because he allegedly enlisted the aid of either bloggers or tournament reporters – which allegedly included Karabulut – to signal him information about his opponents’ hole cards. While he was able to make the final table of the tournament, he was disqualified from the event when officials determined the accusations to be true. Tekintamgac, who was the champion of the World Poker Tour stop in Barcelona last May, was also accused of cheating in a similar manner during the European Poker Tour stop in Tallinn, Estonia in August. Where the issue becomes problematic is how it will impact poker tournament reporting. Although many in the poker journalism industry have strong ethics when it comes to the information they see when working, it could lead to many top tours putting further restrictions on the media and their movement around the tables. This, in turn, would hurt poker fans, as they would not perhaps get as much information about tournaments when they are in action. Multiple-Entry Online Poker Tournaments....Do They Legitimize Cheating? Some online poker sites, in response to all the online poker cheating (especially multiple-accounting cheating by which one player enters an online poker tournament several times under different accounts to gain an unfair advantage), have come up with a new anti-online poker cheating twist: allowing multiple entries into their weekly poker tournaments. This means that tournament players can enter a tournament multiple times using the same account right in the open, as opposed to using multiple accounts under different names. Thus they don't have to cheat and give themselves a better chance of winning. Is this some kind of way to allow cheating in online poker tournaments? Of course not. Anything done and allowed in the open is not cheating because any and all players can do it without violating any of the poker sites' rules. And besides, if the other players at the table know which hands belong to the multiple-entry player, that player's advantage is significantly reduced. I think it's a cool gimmick that really isn't going to change anything involving online poker cheating in the long-run.